Inner Civilization: Sumer : "Place Of The Civilized Lords"
Sumer, "Land of the Lords of Brightness" was a civilization and historical region in southern Mesopotamia, Iraq. It is the earliest known civilization in the world and is known as the Cradle of Civilization. 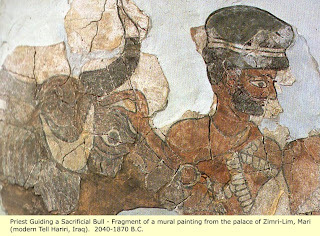 Evidence of the presence of black people in ancient Southwest Asia, particularly in the country now known as Iraq, stretches far back into antiquity. 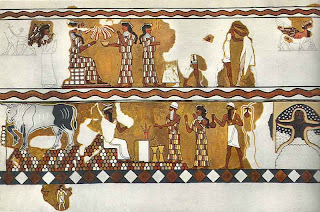 The Greek writer Homer, for example, describes black people referred to as "Ethiopians" as "dwelling at the ends of the earth, towards the rising and setting sun." The Greek historian Ephorus wrote that "the Ethiopians were considered as occupying all the south coasts of both Asia and Africa, divided by the Red Sea into Eastern and Western Asiatic and African." A very important part of Southwest Asia is the country that we now call Iraq. In truth, Iraq has had an African presence for thousands and thousands of years. 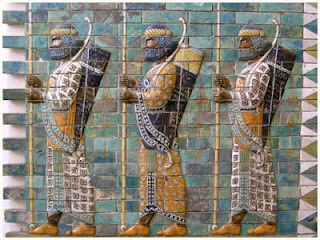 Indeed, the first civilization of Southwest Asia, known as Sumer and located in Southern Iraq (formerly Mesopotamia "the land between the two rivers") was dominated by Black people. Flourishing during the third millennium B.C.E. between the mighty Tigris and Euphrates Rivers, Sumer set the guidelines and established the standards for the kingdoms and empires that followed her including Babylon and Assyria. Sumer, as is well known, has been acknowledged as an early center for advanced mathematics, astronomy and calendars, writing and literature, art and architecture, religion and highly organized urban centers, some of the more notable of which include Kish, Uruk, Ur, Nippur, Lagash and Eridu. The ancient Sumerians referred to themselves as ùĝ saĝ gígpe, phonetically uŋ saŋ giga, literally meaning "the black-headed people". They called their land Ki-en-gi, "place of the civilized lords". 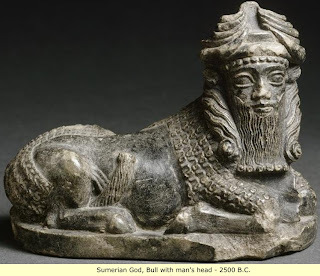 And there is no doubt that the oldest and most exalted deity of the Sumerians was Anu, a name that loudly recalls thriving Black populations at the dawn of history including Africa itself, the Arabian Peninsula, India and even Europe. Equally important is the skeletal evidence exhumed from ancient Sumerian cemeteries, Biblical references in which Nimrod (the Old Testament founder of Sumer) is described as a son of Kush (Ethiopia), architectural similarities, eye witness accounts and oral traditions. See Rashidi, Runoko and Ivan Van Sertima, eds. African Presence in Early Asia. Tenth Anniversary Edition. New Brunswick: Transaction Press, 1995. Inner Civilization, Alan Dixon (2009).